For many of the needles we carry we can special order larger quantities. Both John James and Bohin sell some types and sizes of needles in 1,000 pks. We purchase the Bohin Tapestry and Chenille bulk needles (as well as their #10 short beading needles) and package them ourselves in 10 or 25 needle packages. If you are doing an event and need a large needle purchase contact us to see what is available. You'll find several lists on this page and each list has its own Add Button. So just scroll down to the botton of the needle type list and use that button to add the items you need to your shopping cart. Pricing for all of the Tulip products went up on April 1st. Once we sell out of our inventory have to reorder at the new prices expect a price increase. For example, the needles are $8.50 now, will be $9.20 for the new pricing. While these are used primarily as beading needles they are great for stitching on fine count linens such as the 50 and 52/64 count fabrics we sell or even silk gauze. They are sharp however vs. blunt like the John James Tapestry pointed beading needles. See below in the Embroidery section for a thinner option for fine count fabrics. These are a long beading needle in a 25/pkg. These are a long beading needle. Tulip beading needles are more expensive, but are worth it if you do a lot of bead work. They flex but don't stay bent as many others do. They are what serious beaders use and are great for needlework beading as well. Ideal for beading and bead embroidery. 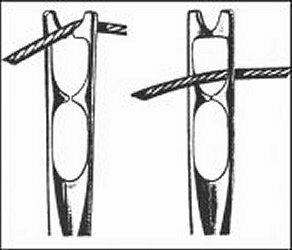 The tip is slightly rounded to avoid splitting the thread. Add Beading Needles to your cart! * These are not available in regular packaging as they made specifically for the main distributor we purchase them through. Add Chenille Needles to your cart! #12 needle on top, #10 Short beading needle on bottom. This is a very fine needle for costume repair work where you want to take tiny bites out of fabric. But it works great as an embroidery needle for high count fabrics like 46 count and above linens for counted work or embroidery. You will need a VERY fine wire threader for these, none of the steel ones will work. Look below in the Threaders for the Colonial Needle Ultra Fine Threader and the Clover Double Wire Threader. * These are packaged and sold as embroidery needles by Bohin but they are Chenille needles with the elongated eye. Add Embroidery Needles to your cart! 3 Bullion needles for needlepoint - close to a size #20 tapestry needle. 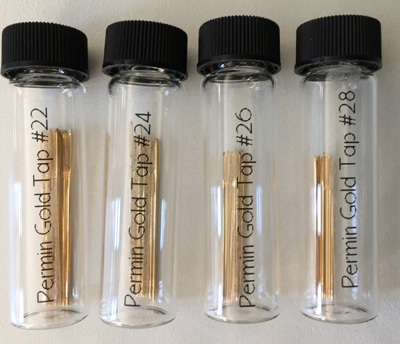 Available in vial of 3 sizes - 3.5in, 5in and 7in. Choose between Tapestry (blunt) and Sharp. We expect to receive our shipment around July 25th. 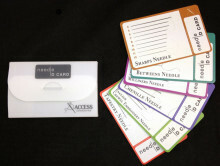 Add Needle Collections to your cart! into the eye, vs. threading it like a normal needle. It means the eye is smaller than a normal tapestry/cross-stitch needle since it's split into two sections. These needles are no longer made and we have run out of them. 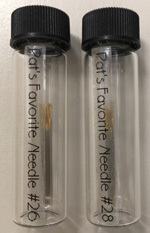 These are a gold eye Tapestry needle made for industry icon, Pat Carson. Needles measure 1½” long. 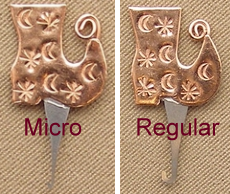 Add Tapestry Needles to your cart! Check out our YouTube Channel for a tutorial on how to use all of the threaders. May 2018 update - the Loran Threaders are now being made from a thinner metal so while they are still sturdy, they no longer grab onto a magnet as reliably due to the thinness of the metal. Two will hold onto a magnet better than 1. 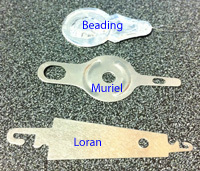 Neither the wire threader nor the Muriel have any steel in them to grab a magnet at all (both are made from aluminum). So while we're not thrilled with the thinner Loran Threader, it's still the best option for a plain threader. The Puffin Company threaders come with magnet on the decorative portion. Heart, Kitty, Bird, Butterfly, Puppy, Bee, Sheep, Sun, Bunny, Quilt, Birdhouse, Flag, Candy Corn, Ghost, Santa Sock, Jolly Sheep, Bee Skep*, Hen*, Flower Pot*. * new styles released March 2019.